Applying for funding? Here’s a free step-by-step grant application guide. Have you started writing a funding submission, but quickly ground to a halt? In this post, we share a simple guide with step-by-step instructions on how to structure your submission, where to find the right data to support your arguments, and how to bring it all together in a story that will resonate with the reader. Get straight to it – download our free grant application guide here, with step-by-step instructions for a stronger funding submission. Or, jump ahead to preview the framework developed by our consulting team. It all starts with an announcement..
A press release pops up in your inbox: A new round of Government funding has just been announced. Fantastic! This is your opportunity to get that piece of infrastructure or an important community program properly funded. You need to write a funding submission that stands out from the rest. But where to start? You’ve probably already asked Google a few questions..
..who calls it a proforma anyway? The first few sites you look at tell you to ‘use evidence’ and ‘tell a story’. How hard can it be? You start writing. You’ve got a fistful of persuasive anecdotes from recent community meetings. No question there’s a problem, and you have the solution. You just need the funding. This application needs to be credible, so you set out to find the data to support your claims. Before long, you’ve got eleven tabs open in your browser and a few spreadsheets that are giving you a headache. That familiar feeling of analysis paralysis starts to creep in – and that application deadline isn’t moving. But if you want to attract investment, it’s essential. Too much story and your submission lacks substance. Too much data and the assessment panel might glaze over, losing sight of the human need in your community, and the potential of your initiative to help. We’ve got a guide to help you strike the right balance, and it’s yours to use for free. I work ten metres from a group of people who are exactly the right people to talk to if you’re in this predicament. 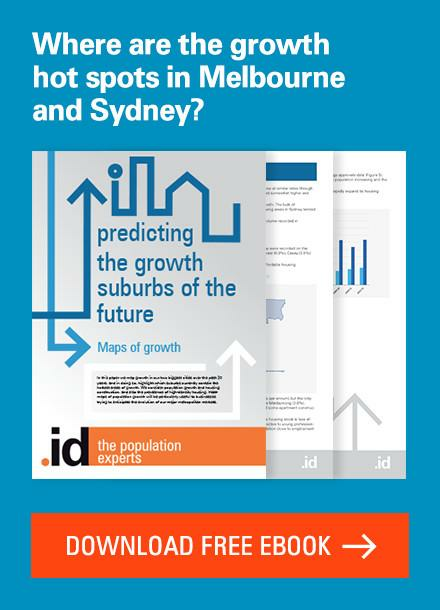 Our consulting team have expertise in urban economics, demographics and spatial analysis. 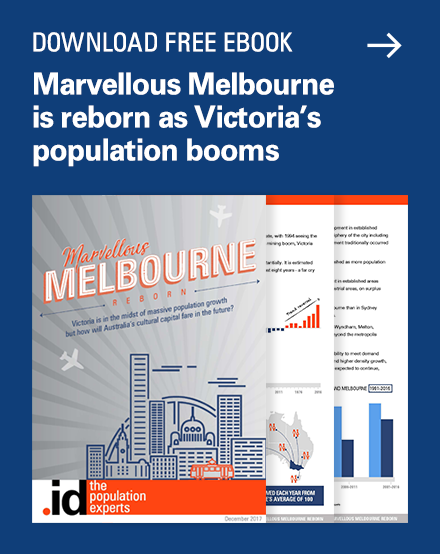 They are also very experienced with the online population and economic profiling tools we build, that are made freely available by subscribing councils across Australia and New Zealand. So when it comes to telling a data-driven story, this is the A-team. 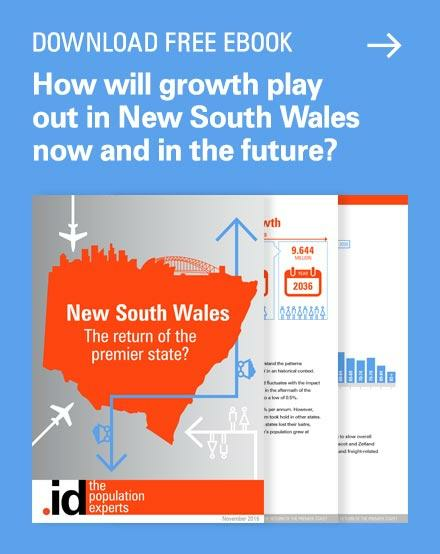 The .id consulting team have worked with many of our partner councils to help build funding submissions for programs such as the Building Better Regions Fund (in the last round of this program alone, our team helped our local government clients secure $187m in project funding!). Recently, we’ve had quite a few people contact us for help with funding submissions. Unfortunately, not every project justifies investment in specialist consulting to write a detailed submission. So, we decided to find a way we could share our methodology, so councils and community groups (of any size) can use the framework developed by our consultants, along with resources made freely available online, to build a better grant application. Do-it-yourself consulting, if you like. I sat down with the consulting team and asked them to walk me through their process for writing a grant application. Step by step, in detail – asking questions as we went. They’ve done so many funding submissions, the whiteboard was full in minutes. On the big screen, they showed me how to use the powerful tools that are freely available online to paint a demographic and economic picture of a place in vivid detail. They showed me how to use the community profiles to demonstrate how a community is changing over time, the social atlas to identify pockets of disadvantage on a map, population forecasts to plan for future of a place, and the economic profile to reveal the drivers of a local economy, and model the impacts of investment. And much more. We have published the framework and detailed instructions our consulting team shared in two resources, which we invite you to use and share freely. The cheat sheet below: a short outline of the framework our consulting team developed for writing successful funding submissions. A detailed, step-by-step guide, that elaborates on each step in this framework with tips from our consultants, detailed instructions (with pictures) on where to find data, and – importantly – how to tie it all together in a compelling narrative, with sample text and links to case studies. Get the complete grant application guide here. It’s easy to follow and can be used as a template if you’re just starting out, or as a checklist just before you press send. What if my council doesn’t subscribe to .id’s resources? As not all councils in Australia subscribe to our free online tools, we set out to build a guide that can be used by any council or community group in Australia to build a great funding submission. If your council provides other population or economic data resources, you can still use this framework, only the detailed instructions and pictures showing where to find data in our tools won’t translate. So here it is – the framework developed by the .id consulting team that has been used to help many councils build successful funding applications. Get detailed instructions for each of these steps in the full grant application guide. Which industries drive the local economy? Does a particular industry contribute more than others? Your population: has it changed, and how does that compare to the wider region? 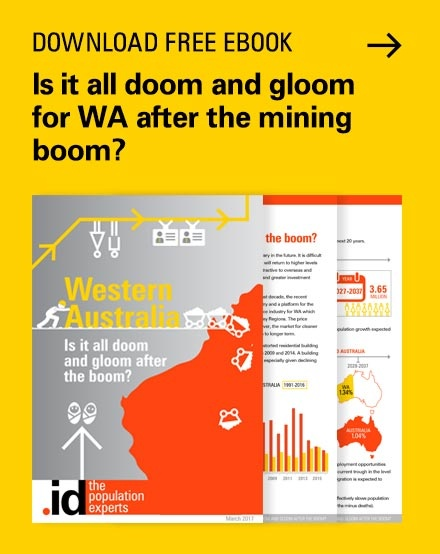 Are those trends affecting the local economy? 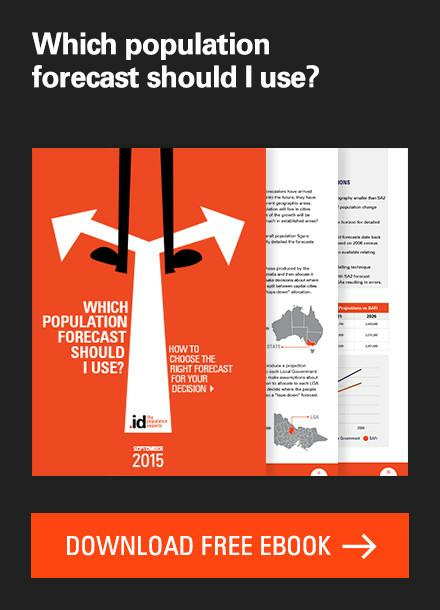 How is your population forecast to grow or change? 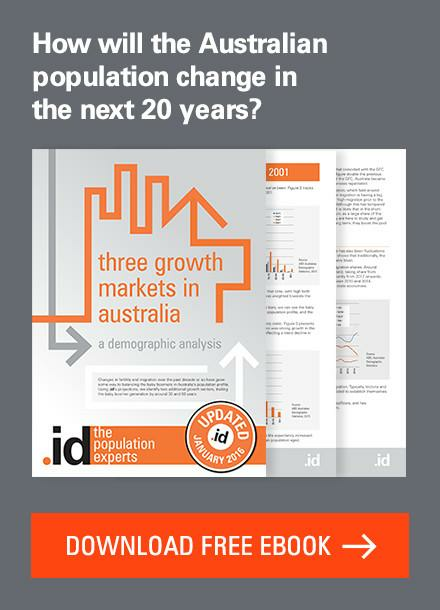 What trends in age structure, housing and internal and external migration do you need to plan for? 2. What are the barriers to growth? 3. How does your project fit with the strategic drivers of your area? What is a cost-benefit assessment and when should I use it? Why is it important to measure the wider community benefits? If you’re having trouble with any step, download the complete guide for step-by-step instructions and tips from our consulting team. Yes. Steps one and two of the framework (setting the strategic context and modelling the economic impact of your project) you can do very well yourself, referencing data from the free online resources we recommend. Steps three and four (the cost-benefit and wider-community-benefit assessments) are nuanced pieces of work, that carry more credibility when developed by an independent consulting team. For smaller projects and grants, part one and two will be enough to build a very strong application. For larger funding schemes, all four steps are recommended (if not required). If you’d like to do steps three and four yourself, we’ve given you some guidelines. However, that work is our consulting team’s bread and butter. Get in touch, and tell them what you’re working on. 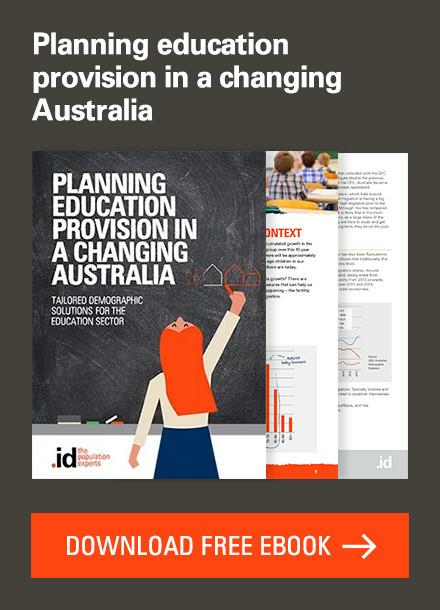 The other reason we developed this guide was to help our partner councils and their communities get the full benefit of their subscription by using our tools to their full potential. In particular, the complete grant application guide contains detailed instructions on how to use the event and economic impact calculators, and more complex analytical features such as the location quotient tool and the shift-share analysis. Do you know someone who is applying for funding? Make their lives a little easier by sharing this blog with them. If you’ve followed this framework or used the full guide, we’d love to hear what you liked and what we could improve, so we can make it better for others (and, ultimately, see more of the worthy projects that make our communities a great place to live get the funding they deserve). Please leave us your feedback in the comments below. If you would like some help developing a grant application, get in touch with our consulting team, and tell us about your project. 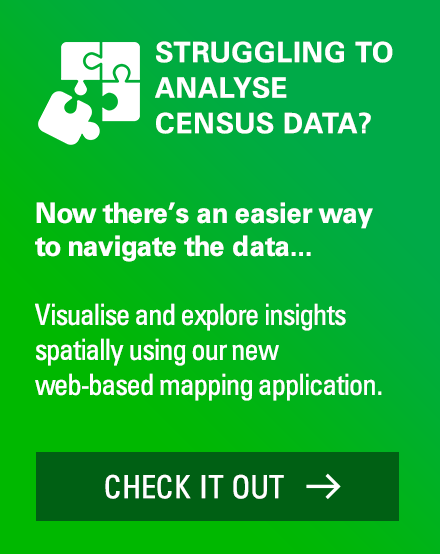 It’s not just about the Census – what other population data is released by the ABS?